A grid of over 40 1960s racing cars is set to contest the Tasman Revival race at Sydney Motor Sport Park on the Sunday of the three day meeting. 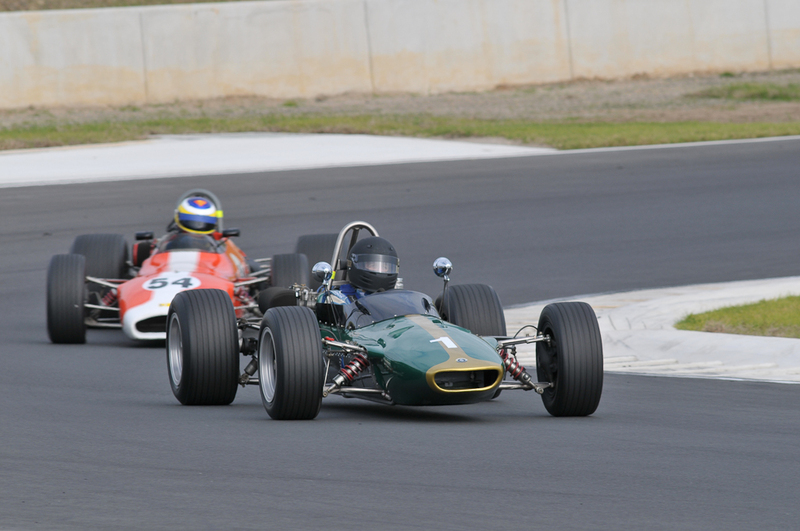 Stephen Knox OAM, chairman of the HSRCA’s Tasman Revival committee said this year’s Tasman Revival race over 15 laps will be the most fiercely contested race for single seat racing cars seen in this part of the world for more than 30 years. 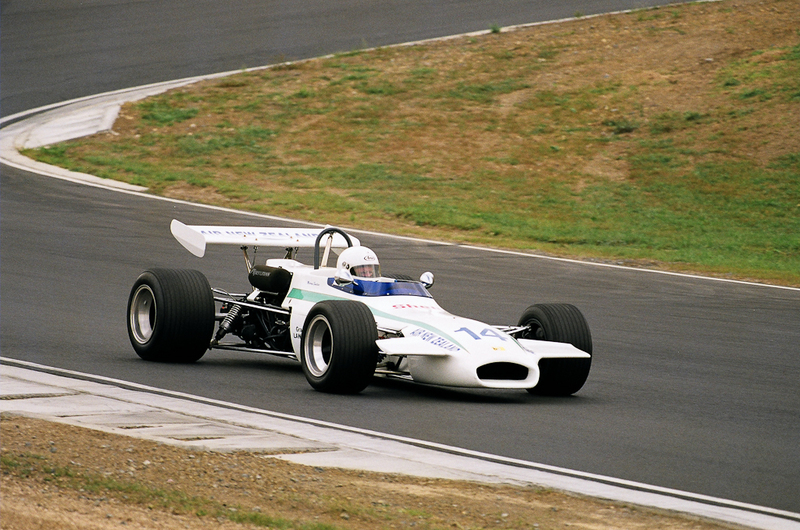 Looking at the grid make-up, there is any one of around 15 car and driver combinations capable of winning the event. 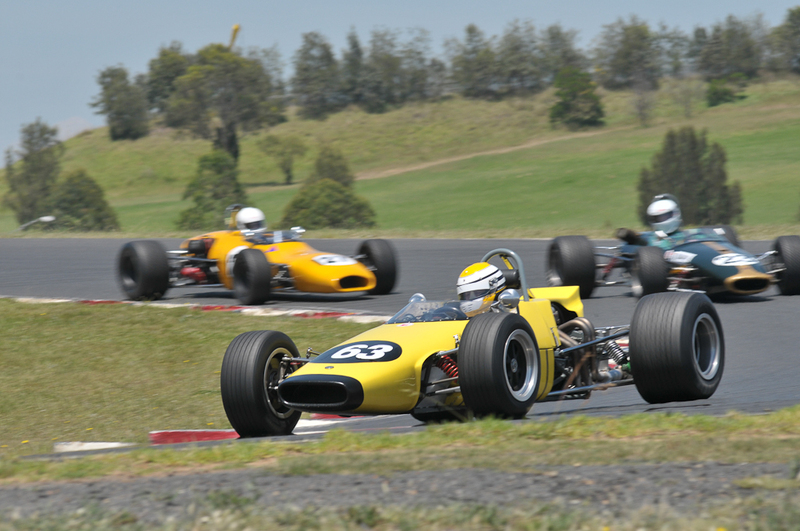 With over 40 cars to make up the grid, not since the heady days of the 1960s and ‘70s were so many purpose built racing cars competing in the one race, it will make an incredible spectacle. Mr. Knox went on to say that Australian champion Frank Matich who is the Patron of the Meeting will be watching closely as many of the cars he competed against will be in the race. 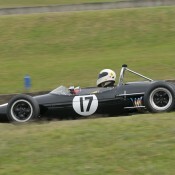 Unfortunately, twice winner of the event John Smith is unable to attend and as a result the Lotus 49 will not be competing. John is slowly recovering from serious spinal injuries, the result of a recent motorbike accident in the US. 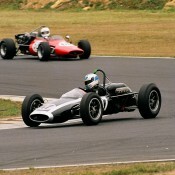 Amongst the estimated 15 cars capable of top rung on the podium, is the Brabham BT31 of Peter Strauss. 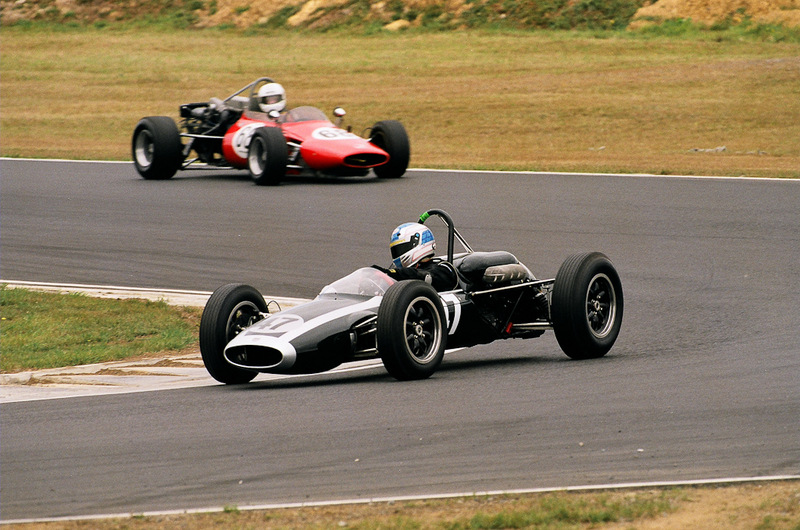 This very quick car was (Sir) Jack Brabham’s for the Tasman Series in 1969, powered by a Repco Brabham 2.5 litre V8, a close relative to the engine that carried Jack in 1966 and Denny Hulme in 1967 to F1 World Championships. 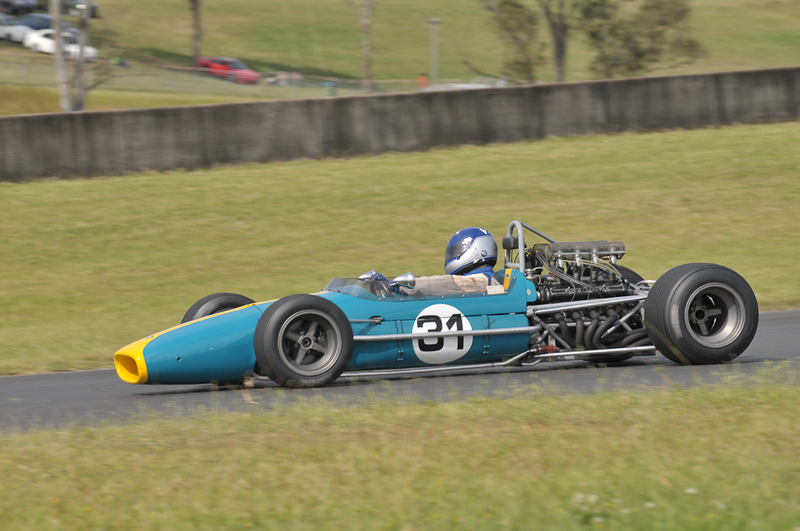 From NZ comes Murray Sinclair with a Brabham BT29 powered by a Cosworth FVC, a larger variant of the FVA which is a 4-valve engine producing over 235bhp from 1600cc. 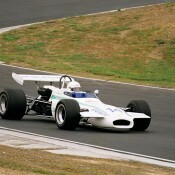 At least one FVA engined car is expected to be on the podium and with such a diversity of marques including Brabham, McLaren, Chevron, and Elfin it will be very difficult to pick a winner. 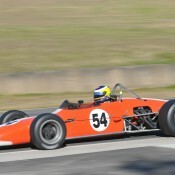 Amongst the drivers competing will be Bob Cracknell, the Chairman of the CAMS Historic Commission, in an Elfin 600. 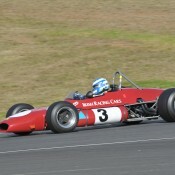 Chris Farrell will be hard to beat, his Brabham BT30 is a very quick as is Chris himself. 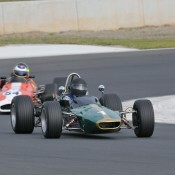 Debutant Tasman Revival competitor, Damon Hancock in the family’s Brabham BT23 has shown tremendous form in recent times and will definitely be close to the front. 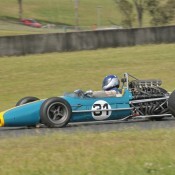 Ray Stubber from WA drives a variety of cars, and has shown he is a real force to be reckoned with in the Brabham BT29. 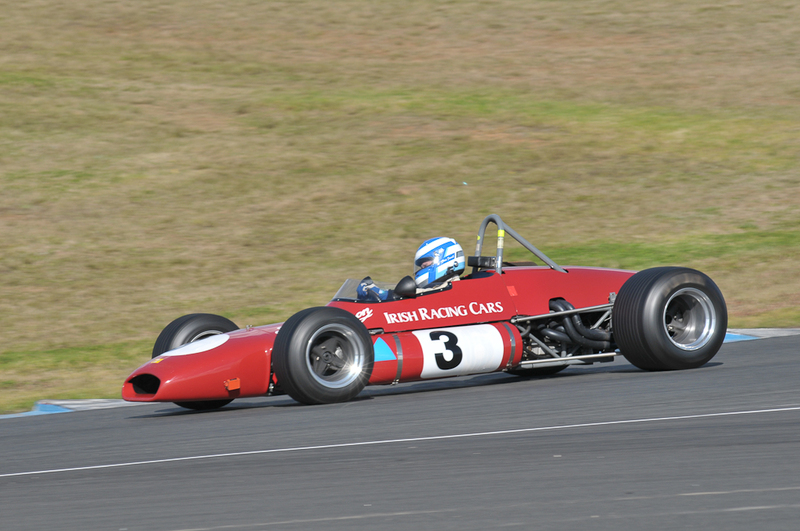 Dark horse for the event is Richard Carter who was the 1976 TAA Formula Ford Driver toEuropewinner, and has never been quicker in his Elfin Mono twin-cam. 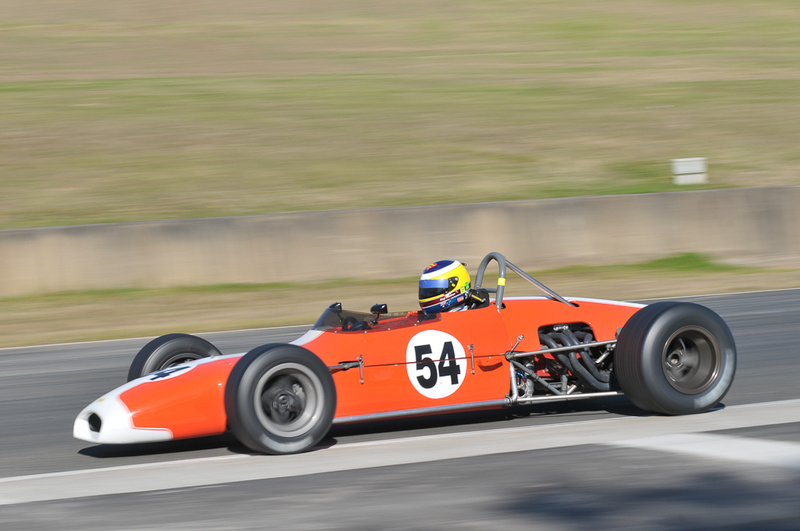 Concurrently with these very quick cars will be the pre-1965 category of around a dozen cars. Again the winner here could come from any one of 6 cars. Ed Holly’s Brabham BT6 has dominated this category in recent times, but Peter Studer in his Lotus 32 all the way from Switzerland, Adam Berryman with Bruce McLaren’s Cooper T70, Scotty Taylor’s Cooper T53 and Don Thallon’s Cooper T53 will all make for a spirited early category race within the main event, especially as the last three cars are powered by 2.5 Coventry Climax engines. 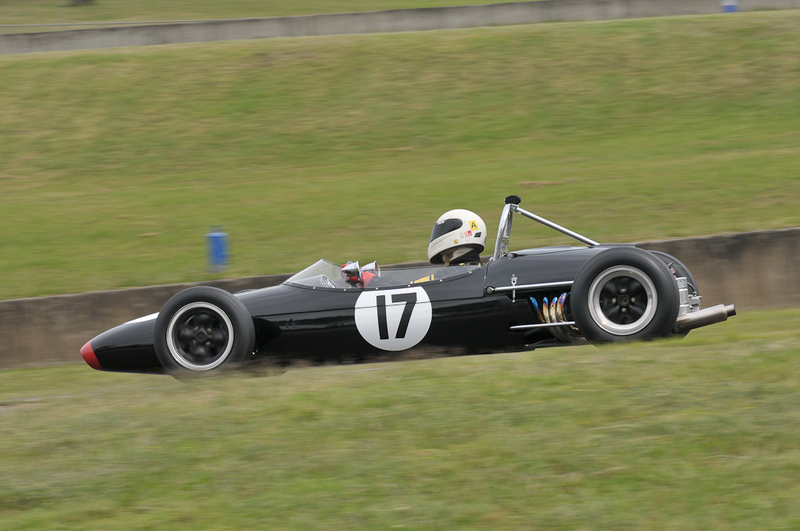 The Tasman Revival race is an incredible spectacle. 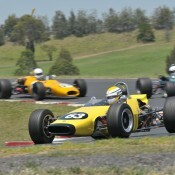 These cars all lap theS ydney Motor Sport Park complex in about the same time as a V8 supercar. They do this with no aero aids, relying on mechanical grip from the tyres and suspension set-up alone. They accelerate to 100mph in around 7 seconds from a standing start and will attain speeds of around 165 miles per hour (265 kph) down the main straight. They invariably weigh under 450 Kg and the more powerful have around 300bhp on tap. 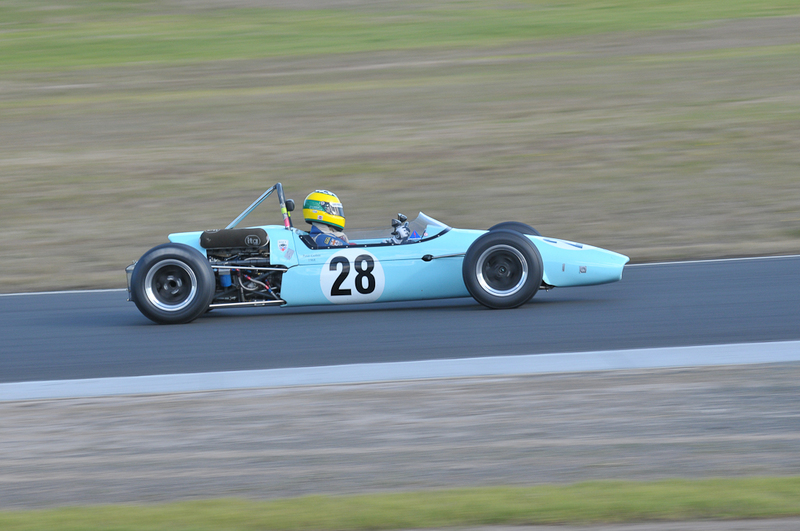 This entry was posted on Thursday, November 8th, 2012 at 7:04 am	and is filed under Tasman Revival and tagged with 2012, Historic Racing Photos, Single Seaters. You can follow any responses to this entry through the RSS 2.0 feed. Can’t wait. 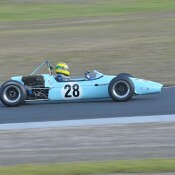 Gonna be awesome on the upgraded Sydney Motorsport Park. Bring the noise!